The Day Washington Died | What Would The Founders Think? I feel myself going; I thank you for your attentions; but I pray you take no more trouble about me. Let me go off quietly. I cannot last long. Anyone who has studied Washington’s life knows what a melancholy, tragic death it was. Here was a man who had devoted the majority of his life to the service of his country, and who was deprived of all but a few short years of retirement. Throughout the trials and tribulations of the Revolutionary War, Washington maintained his composure and serenity, in part, by focusing on his beloved Mount Vernon. No less than Jefferson, Washington took the utmost delight in improving his home. He was fascinated with agriculture, and yearned to get his plantation running smoothly. He was never satisfied with any of the overseers who took care of his property during his long absences. He wrote countless letters, and constantly inquired as to the state of things there. A big part of his being was centered around his home. Doing the right thing, whatever the cost, was a hallmark of Washington’s character, even if it meant risking his beloved home. Time and time again, Washington set aside his own interests in favor of the needs of his country. 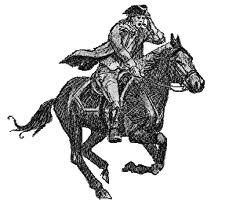 Washington served as General of the Continental Army, without pay. Washington prevented disgruntled army officers from taking over the government after the war through the respect he commanded. He was the one person who could be accepted by all, and whose stature was sufficient to bring all parties together for the Constitutional Convention, over which he presided. Washington was elected unanimously as president – twice. He set countless precedents in how he fulfilled the office of President, but none so significant as the last, a voluntary transition of power. He had done the same thing when he had relinquished his commission as Commander in Chief, even when some clamored to make him king. We’ve not seen his like since, may he rest in peace. American Crisis By William M. Fowler Jr.